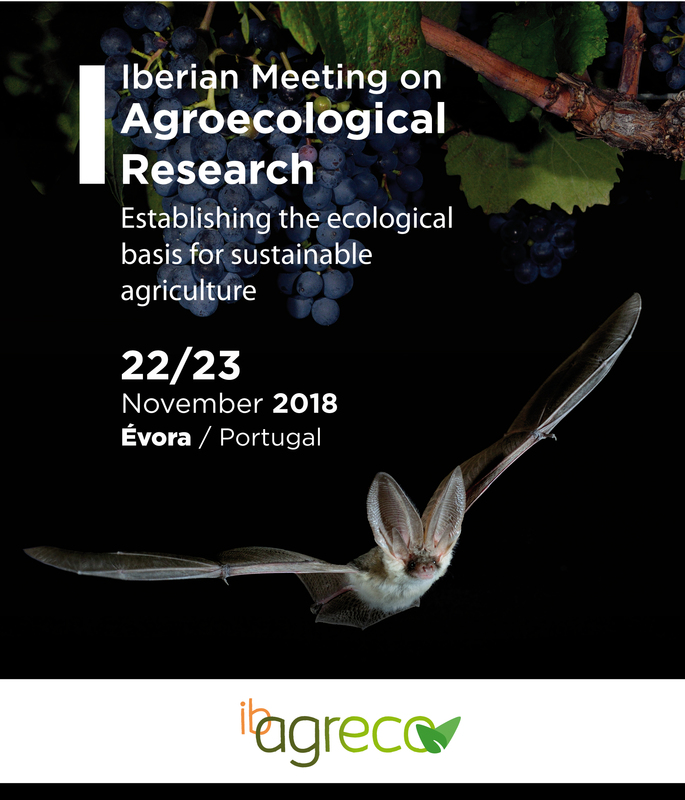 We are pleased to announce that the 1st Iberian Meeting on Agroecological Research (ibagreco) – “Establishing the ecological basis for sustainable agriculture” is being co-organized by the University of Évora, the Research Centre in Biodiversity and Genetic Resources (CIBIO – Évora) and the Institute of Mediterranean Agricultural and Environmental Sciences (ICAAM), and will be hosted by the University of Évora on 22-23 November 2018 in Évora, Portugal. ibagreco is intended to bring together research aimed to understand the ecological basis for sustainable agriculture and is conceived to offer researchers a framework to share their cutting-edge research on Iberian agroecosystems. However, research from all over the world will be also very welcome. Join us! Land conversion for agricultural purposes and the intensification of farming practices are major threats to ecosystems worldwide. Currently, nearly 50% of global land surface has been transformed by direct human action for agricultural purposes, with significant negative ecological and social consequences. In this unprecedented context, more environmentally sensitive farming practices are unquestionably required. Agroecology is the study of the ecology of terrestrial agricultural systems. It provides a scientifically rigorous basis for sustainable croplands by taking into consideration all those ecological aspects that need to be addressed for the conservation management of production landscapes. Agroecology is thus aimed at guiding research and decision-making for food production and security, while committed with the conservation of biodiversity and its associated ecosystem functions and services, essential for sustainable agriculture. In response to the burgeoning interest showed by researchers on agroecological studies in Spain and Portugal, the University of Évora, the Research Centre in Biodiversity and Genetic Resources (CIBIO – Évora) and the Institute of Mediterranean Agricultural and Environmental Sciences (ICAAM) are organizing the 1st Iberian Meeting on Agroecological Research (ibagreco) to be held from 22nd to 23rd of November 2018 in Évora, Portugal. Agroecosystems as scenarios for the conservation of biodiversity. The link between biodiversity and ecosystem functions and services. The impact of farming practices on both biodiversity and associated ecosystem functions and services. The link between agricultural ecosystem services and social and economic benefits. Relationships between agroecosystems and the natural environment. Development and use of tools for integrated biological and environmental monitoring and assessment. Agroecosystems under global environmental change: ecological impacts, adaptations and mitigations.